Clear tempered glass top with Chrome steel tube base. $ 195 ea. 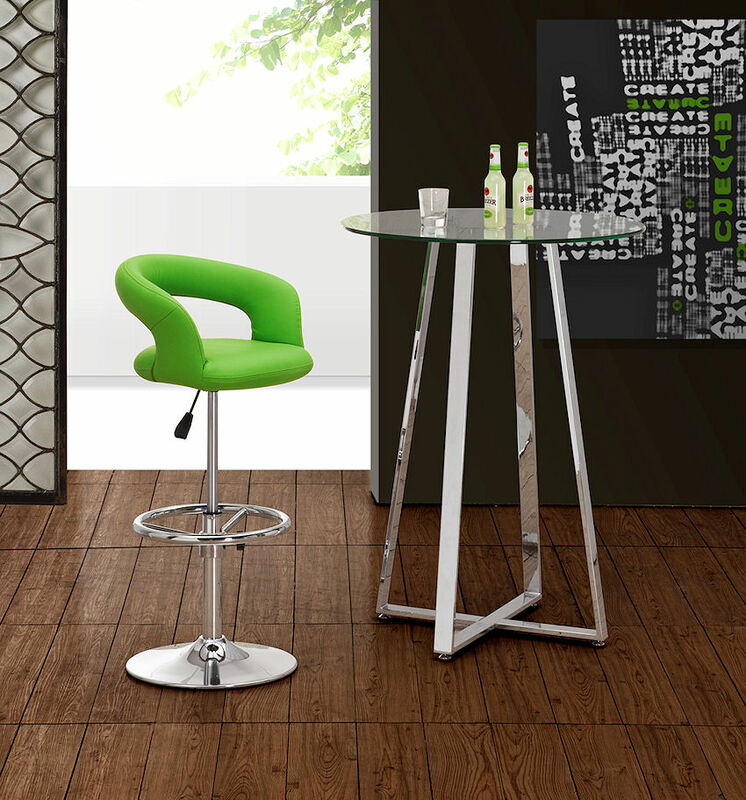 - Fly bar stool. 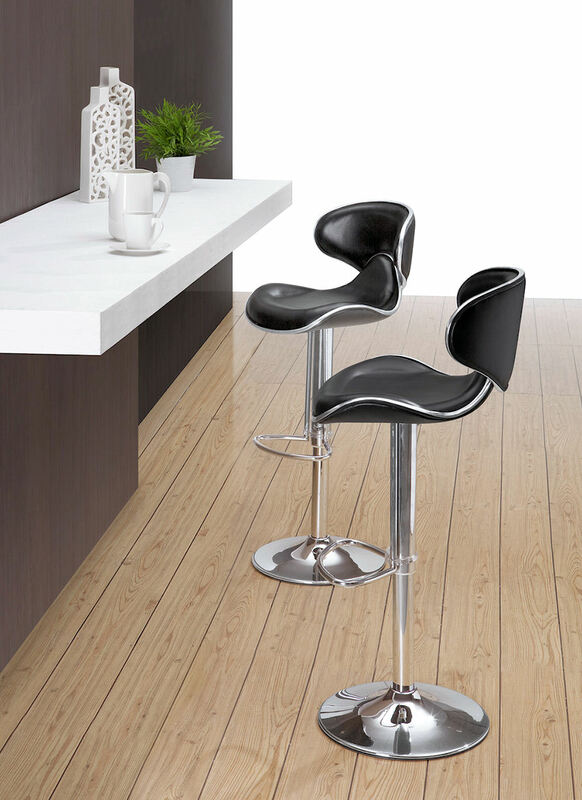 Fly adjustable barstool in Black, White or Red leatherette.